Wow! 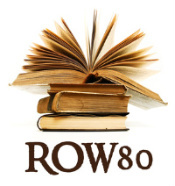 We really are almost done with this round of ROW80. Unbelievable how fast it seems to have gone by. Progress on the editing front. Hallelujah. Progress on the beta reads. Yippy skippy. These suckers are almost done. I worked on them during lunch nearly every day last week. Last night I realized that my NaNoWriMo free Createspace proof would expire in a couple of weeks. Yikes! So, I dropped everything and formatted the most polished MS I had and for which I’d made a cover many months ago. That puppy is in Createspace’s hands for approval of the layout / setup /etc. then I can use my coupon and finish the order. Yay! Two NaNos, two books I’ll have on my shelf, even if it is just pretend publishing. I’ve returned to my superhero short story also so I have some new writing to break up the pending monotony of editing. Editing will be my focus over the next few weeks, probably most of round three. I’m lucky in that I have several betas for two manuscripts already lined up. Congrats on your progress! Who cares if it’s pretend? It’s finished in some way lol!